Should I buy the Hanvon SenTip1201 WD? Hanvon’s SenTip 1201 WD is a good step in the right direction for Wacom’s competitors but it needs closer attention paid to the smaller details, such as driver support and pen-related issues, before it knocks Wacom off its throne. For years Wacom has dominated the graphics tablet market. But will Hanvon’s SenTip 1201 WD prove to be a worthy rival to Wacom’s Cintiq range? 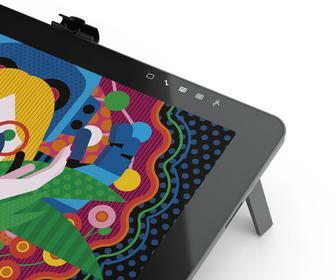 Straight out of the box you can see the SenTip owes a lot to the Cintiq 12UX’s design – and many of its features match, too. It has a 12.1-inch LED-backlit screen with 1,280 x 800 resolution. It looks great, with a smooth black finish, and is sleek at only 17mm thick. At the back is a sturdy foldaway stand that allows you to position it like an artist’s easel. 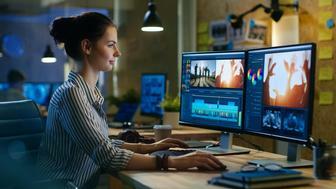 There are eight programmable Touch Keys and two touch strips on either side of the screen to assist your workflow by reducing your need for common keyboard functions. This SenTip comes with an ergonomic cordless pen with two programmable buttons and an eraser at the end. The resolution of the screen is a superb 5,080dpi that gives amazingly clear images. The colours look great and the picture quality is sharp enough to clearly display even the smallest details in an illustration. The slight downside is some areas of paintings or photos can look a little ‘over-sharpened’, which can be a little distracting, but this is true of all screens this size. The tablet boasts 2,048 levels of pen pressure sensitivity – the same as Wacom’s 21-inch Cintiq, but double that of the Cintiq 12WX. There is a caveat, though; unlike the Cintiq, even at the softest pen setting the SenTip’s pen still requires a fairly hard push to achieve a fully opaque brush stroke in Photoshop, resulting in possible wear and tear on the screen over time. Furthermore, there is a little resistance in random places on the drawing surface that makes usage feel inconsistent and can cause mild drag. Overall, drawing on the SenTip doesn’t feel as good as on the Cintiq. The SenTip comes bundled with five writing recognition programs: PenWrite lets you write by hand directly into text programs such as Word; PenSign allows you add your signature to documents; and PenMail lets you send handwritten copy by email. Standouts of the set are PenMark for making annotated notes on any part of your screen (very useful for explanations of changes) and WhiteBoard that creates a virtual whiteboard with numerous pages, so you can hook your computer up to a projector for impromptu presentations. That said, the SenTip doesn’t play well with others. You’ll have to fully uninstall any other graphics tablet drivers from your machine, or you will experience all sorts of conflicts, from SenTip calibration problems to destroying your other tablet’s drivers.